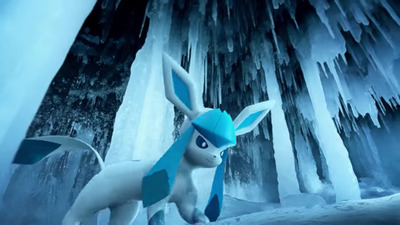 About two dozen new Pokémon have been discovered so far, and more will be introduced over the next few weeks via eggs, raids, and encounters in the wild. The Sinnoh roll out will eventually include new evolutions for existing Pokémon too. Two years after its release “Pokémon Go” is still expanding; creator Niantic Labs recently introduced a fresh batch of Pokémon from “Pokémon Diamond and Pearl” to the augmented reality game and more will be on the way soon. “Diamond and Pearl” Pokémon are from the Sinnoh region; fans of the original games refer to them as the fourth generation Pokémon. So far players on Reddit have reported seeing 25 new Pokémon, including “Diamond and Pearl” starters Piplup, Chimchar, and Turtwig. As usual in “Pokémon Go,” some Pokémon are region specific, appearing in certain countries or in exclusive climates. Here’s the full list of new 4th Gen Pokémon that have been spotted thus far, along with their evolutions. Though some Pokémon in the game gained new evolutions in “Diamond and Pearl,” they are not yet available in game. However, trailers for the Sinnoh update did show two of Eeevee’s fourth generation evolutions, Glaceon and Leafeon, so it’s likely that the rest of the existing cast will have access to their new evolutions soon too. Check out the teaser trailer for the new update below and to see some of the new 4th Gen Pokémon being added to the game.